It's pretty obvious why Kelis is the perfect celebrity spokesperson for Tuesday's National Chocolate Milkshake Day: "When people see milkshakes, they think of me and the song," she told CBS News. 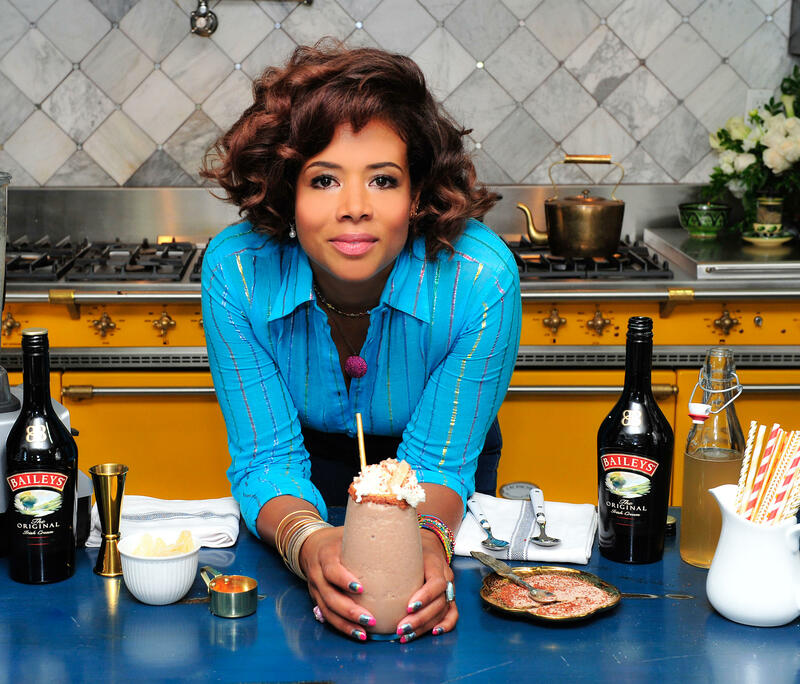 The singer teamed up with Baileys to create a recipe for the occasion, but the song "Milkshake" is not the only thing that makes Kelis uniquely qualified for the job. Kelis is also a chef who graduated from Le Cordon Bleu after she parted ways with her record label in 2007. "It was the first time in my life that I could take that kind of time off from music," she said. "I had a great time. It's nice because your brain can learn new stuff and be ignited by something new. It's a good feeling." Kelis, whose mother is also a chef, has continued to divide her career between food and music. She wrote a cookbook called "My Life on a Plate" in 2015. "My mom is a chef, so I grew up around food my whole life and it's a source of happiness for me," she said. "Being in the kitchen and all of the attention to detail — I love it, so it was kind of a natural segue for me." Kelis even opened a pop-up restaurant in London last year. "I loved it," she said. "It was such a great experience. I think it's different than having a restaurant full-time. A pop-up is like being on tour. You have to make it work right now, becuase you don't have time to refine and change. So either it's going to be great, or it's not, so there's an excitement about that that I really enjoyed." The musician still sings and said she's happy to see that "Milkshake," released in 2003, is still in heavy rotation — particularly on screen in TV and movies. "When we were writing and recording the song, we knew it was going to be something that would stick out, more for the fact that it was so musically different from what everybody else was doing at the time," she explained. "It's great to see now that we were right." Kelis says she's working on new products for her sauce company and said of her busy schedule, "You always make time for the things you want to do. There have been many occasions where I was doing full-on dinner service and getting on stage at 11 at night." She added, "When you want to do something, you make it work. You have very long days and even longer nights, but that's part of my life." Kelis shared her recipe for "My Milkshake." Pour mixture into glass rimmed with chili-cinnamon-sugar.